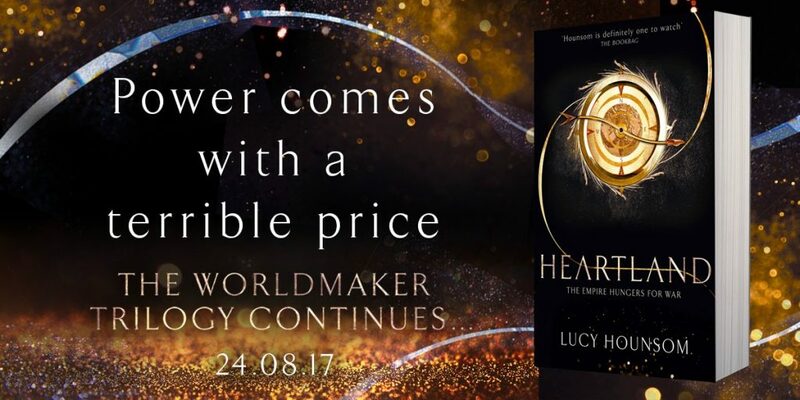 Back in 2015 I came across a debut author, Lucy Hounsom. 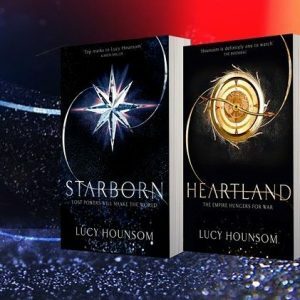 I loved Starborn – from its subversion of fantasy genre tropes, to its flawed protagonist and excellent prose. 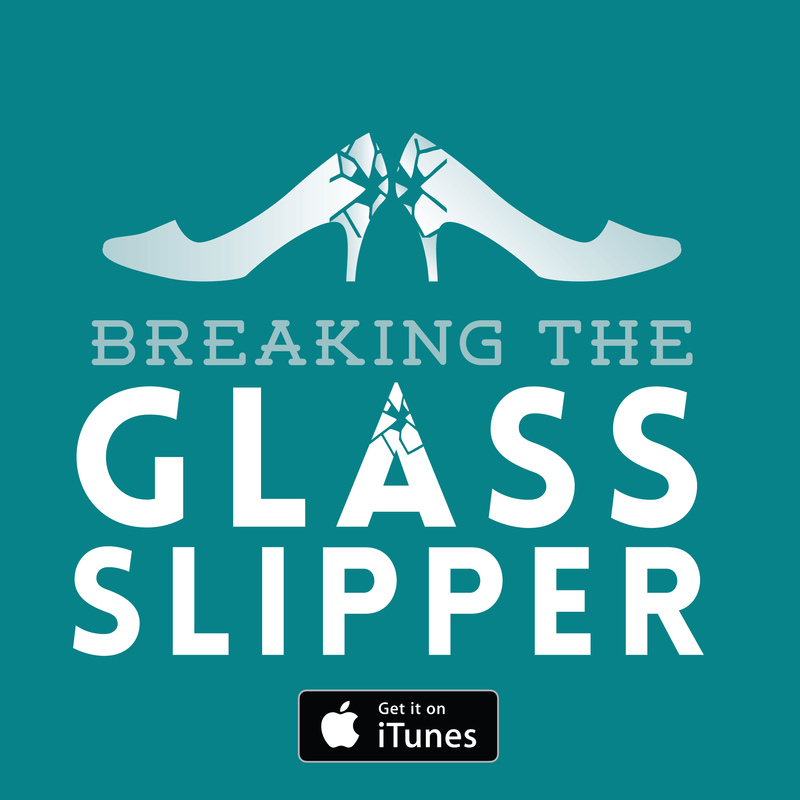 Since then, I befriended Lucy and she has been one of my co-hosts on Breaking the Glass Slipper for the last two years. 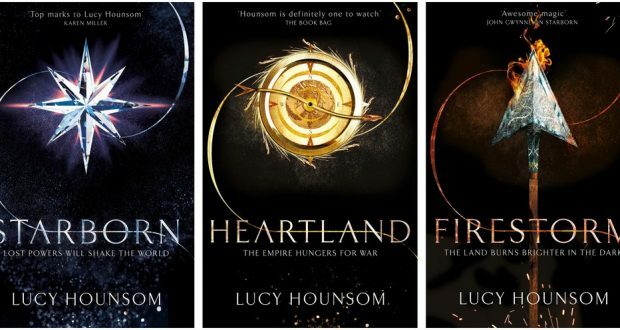 You would be excused for thinking I might not be able to be objective when reviewing the second installment of the Worldmaker series, Heartland. But let’s face it, I’m not known for being a wallflower when it comes to my opinions. I’m objective. Honest. It took me a little while to get into Heartland. It didn’t immediately draw me in. By the halfway mark, however, I could barely put it down and was disappointed when it ended. If by the end of the book all you want is for the story to keep going, that’s a good indicator that the story was well-executed. 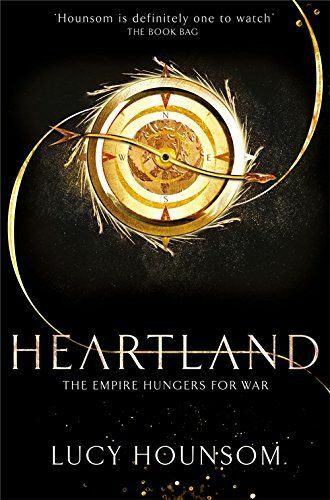 I have my quibbles, but overall, Heartland is a solid follow-up to an excellent debut. After Kyndra brought Mariar (Rairam) back into the world, she and her companions head into Acre to attempt to broker peace. Meanwhile, Bregenne travels across Mariar to warn them of the threat that Acre might pose and ask them to be prepared for war if it comes to that. Acre itself is also reeling from the reappearance of Rairam, the lost continent. The Empire is losing grip on its territories as multiple rebellious factions take hold. The magic that has long powered the Empire is also dwindling. But the Davaratch, head of the Empire, is still hell bent on war. Can Kyndra stave off war or will she find herself in the middle of a war of another kind? I find second books in trilogies difficult. The same goes for films. Other than Empire Strikes Back, I’m not sure I’ve found a ‘middle’ story that really worked on its own. I felt that Heartland certainly suffered from this typical issue. It is slow to open with a lot of callbacks to the first novel. Instead of getting on with the plot of this book, it spends far too much time recapping or referring back to previous events. All this does is slow the story down, when it should be focused on getting stuck into the interesting aspects that make this story worthwhile. When Heartland does gear up towards the middle of the book, I found myself racing along with the story until it ended abruptly to leave room for the final book. While there is a decent ending for this to be a story in its own right, the conclusion felt somewhat rushed and lacked any real finality (understandably, I suppose, given there’s another story to come). These are all very standard issues for the middle of a trilogy but are irritating nonetheless. One of Hounsom’s greatest strengths is her characters. She creates believable, flawed, and interesting characters, whether they are the main protagonist or more peripheral. While Kyndra made for a great flawed protagonist in Starborn, she struggled to hold my attention in Heartland. There are several new point of view characters introduced in this book, all of whom are more interesting than she is. Char, in particular, is a great addition to the narrative. What I noticed among the characters I found interesting, was that they tended to have personal goals as well as the bigger one driving the whole group. Kyndra, while arguably she does have a more personal goal (not lose herself to the stars), she doesn’t actively pursue it. Her entire being in the novel is set around a very large-scale problem that she can’t make happen or her own, nor is she generally particularly helpful in that area. And why she is made the nominal ‘leader’, despite being Starborn, is beyond me (even Kyndra can see the senselessness, so why can’t the others? Having great supernatural power does not a leader make). To compare, Char has very clear motivations that are more important to him on a personal level. He wants to escape the slavers’ life, to survive, to meet up with Ma again, and to keep the rage inside at bay. Amongst these overall goals, he is active in his attempts to achieve them. And because they relate very personally to him as a character, it is easy for the reader to relate to him and root for him. 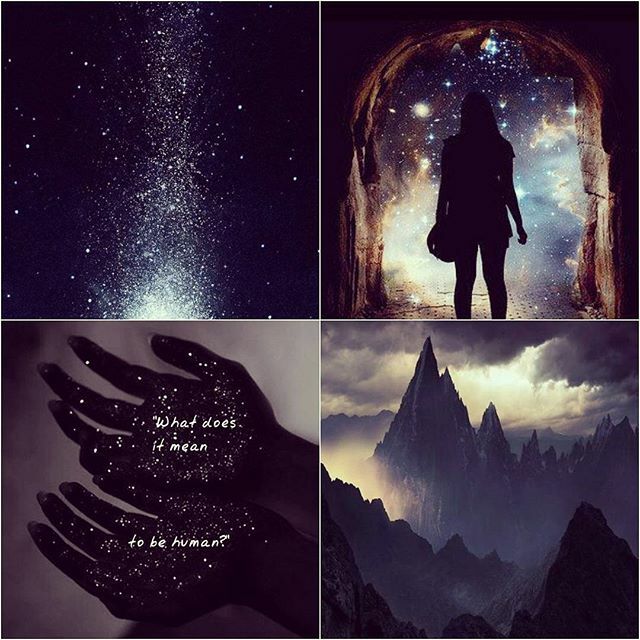 Bregenne features a story arc that focuses both on the macro and micro, using the smaller goals and trials to keep the reader on side and interested. On the larger scale, she must convince the traders that control Mariar/Rairam of the threat posed by Acre. But more personally, she has two things driving her: 1) to save Gareth from the corrupted gauntlet and 2) to reconcile her feelings towards Nediah. So while the bigger political goal is what moves her through the world, it is the personal problems that make her plotline so interesting. Despite Kyndra’s flaws in Heartland, the novel is eminently readable and highly enjoyable. Hounsom’s prose is precise and doesn’t interfere with the story (though I do think she perhaps uses a few too many adverbs in regards to speech tags, but that is a personal pet peeve). The new characters introduced are all worthy inclusions and the set-up for the final installment promises exciting things to come. Verdict: A solid and enjoyable second installment, with a few issues common to the middle book of a trilogy.